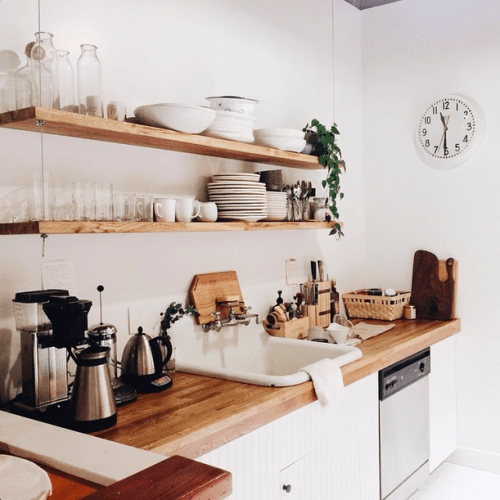 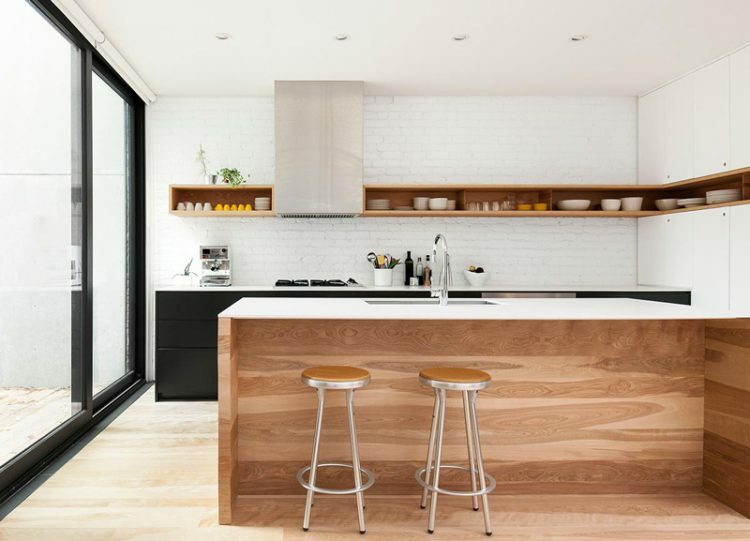 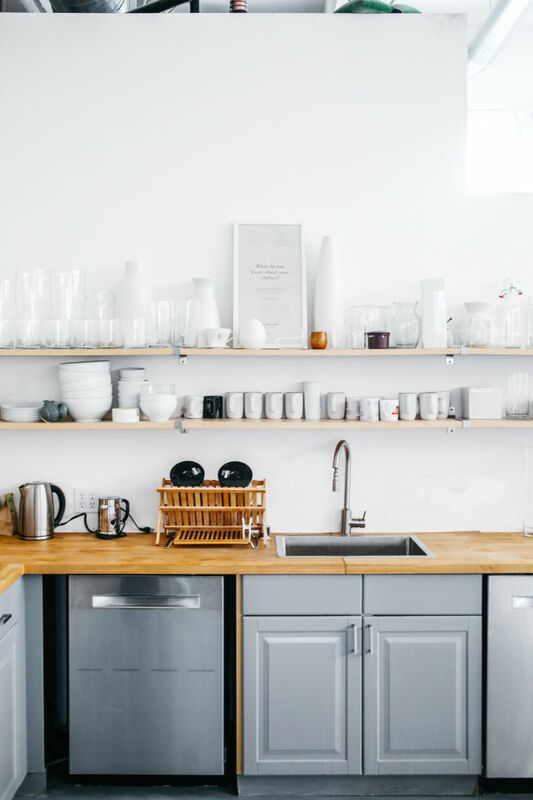 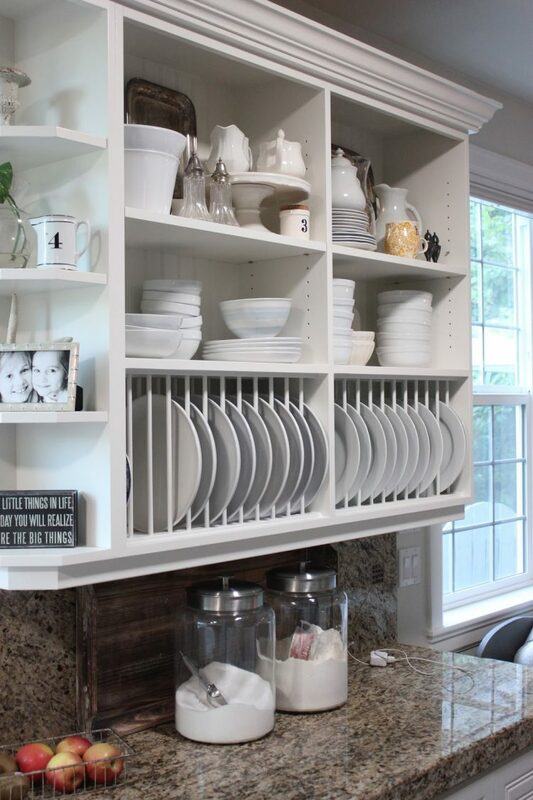 There is two kinds of people: ones that believe that open shelves are practical additions to standard kitchen cabinetry and others that think that they aren’t practical at all. 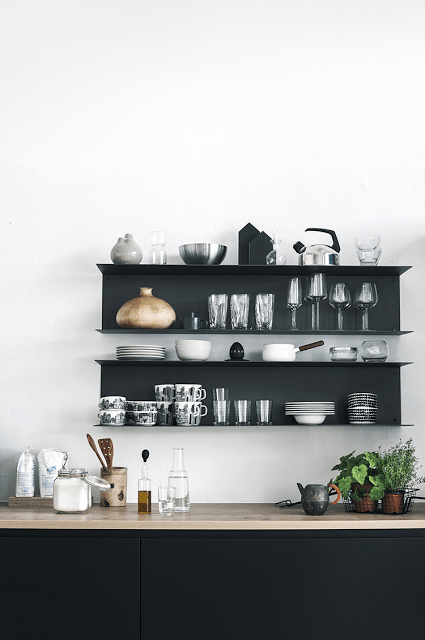 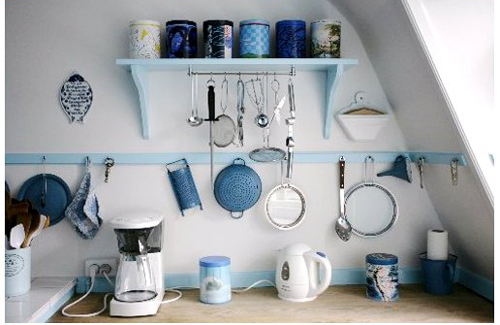 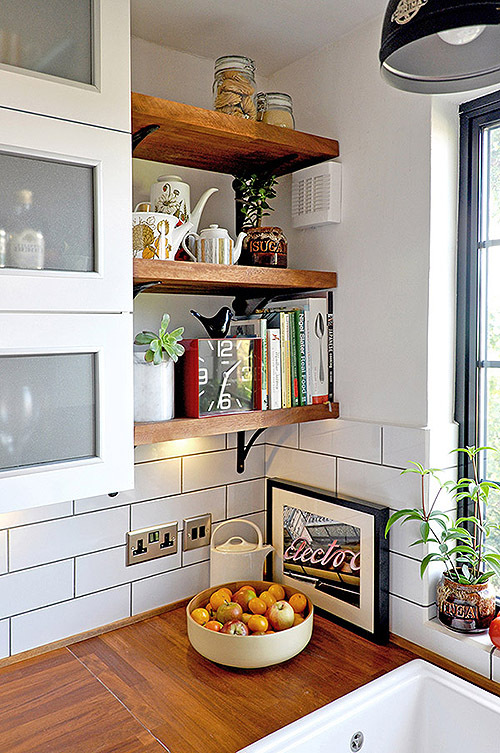 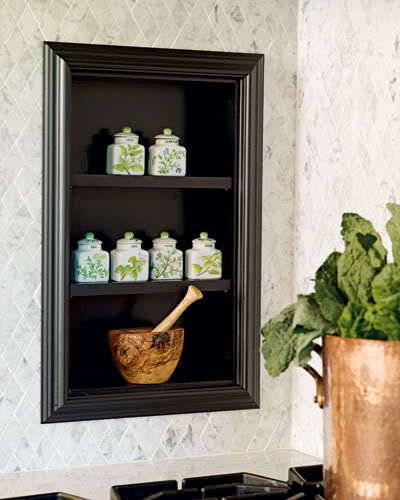 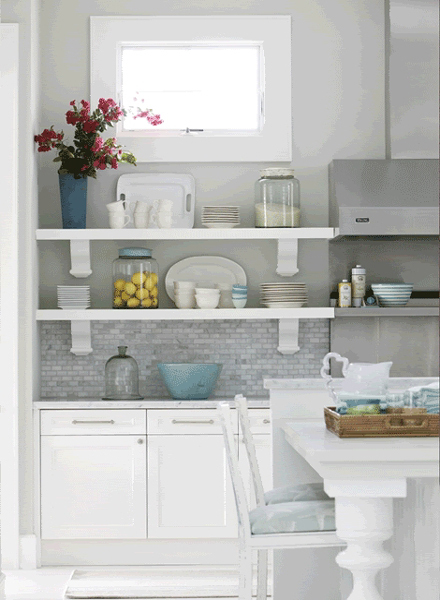 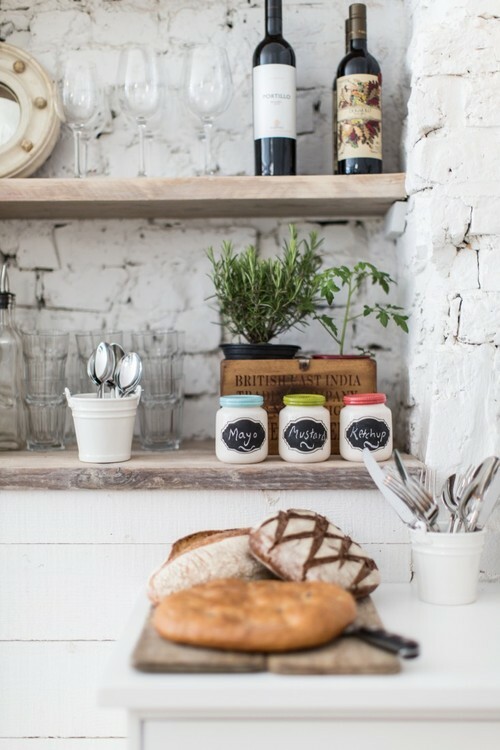 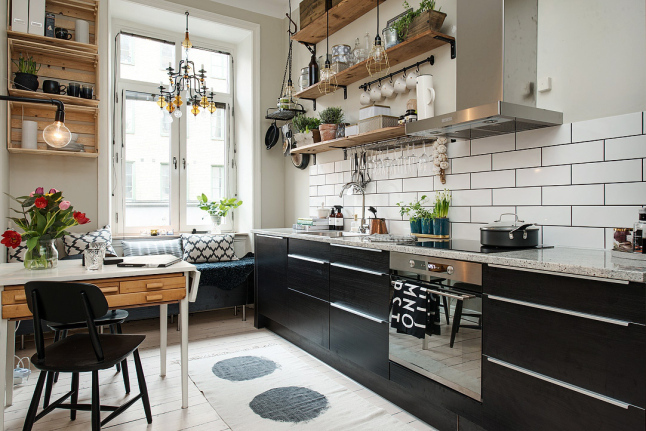 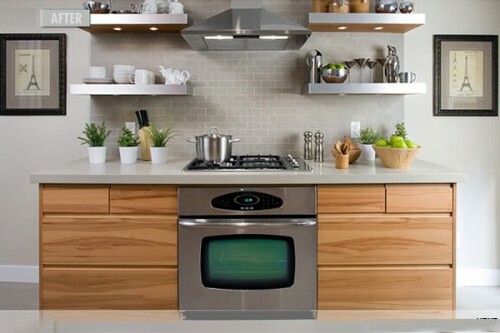 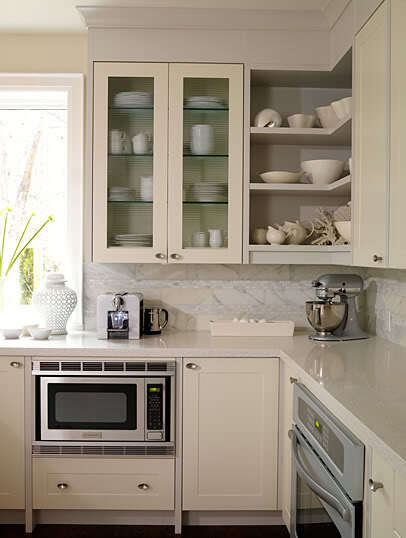 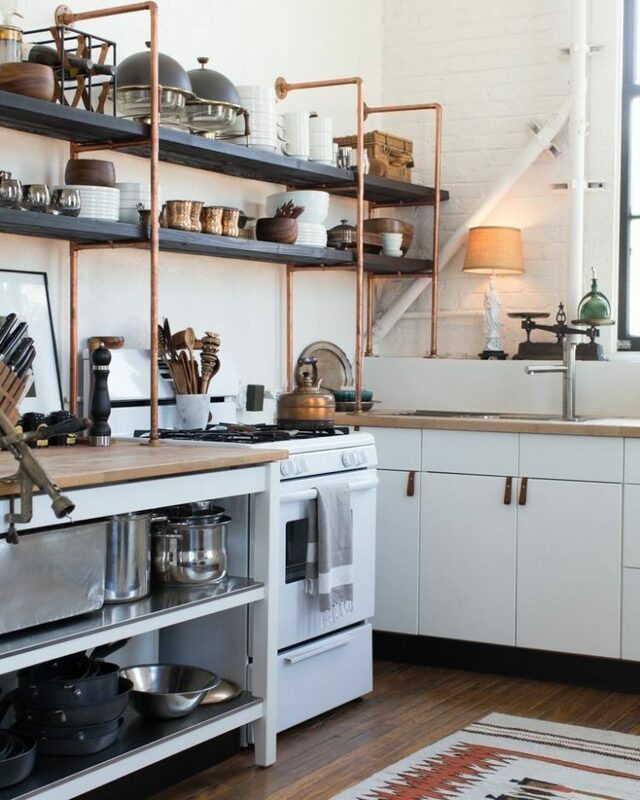 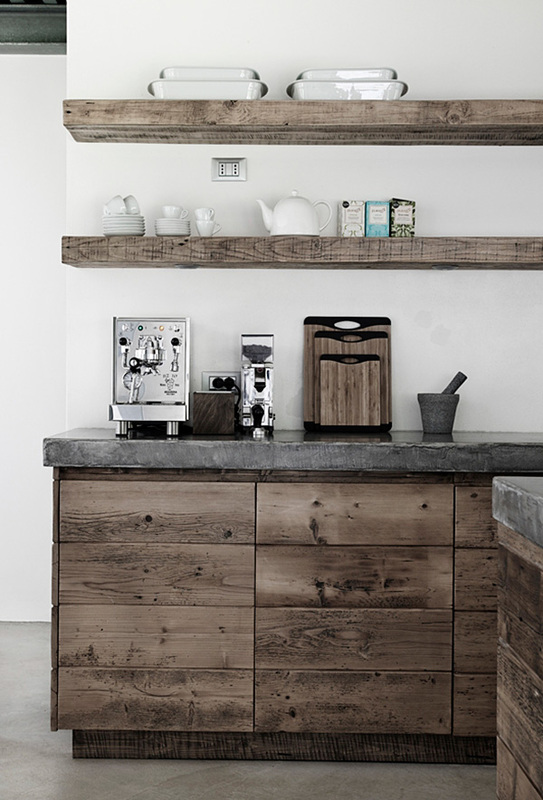 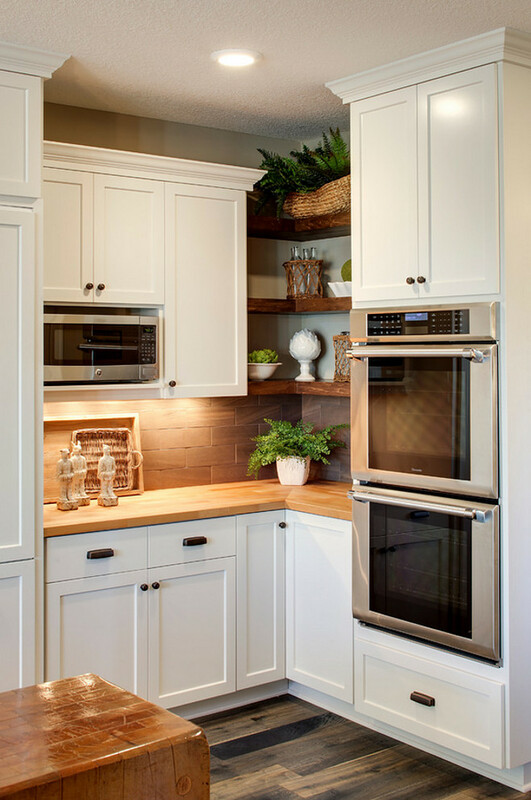 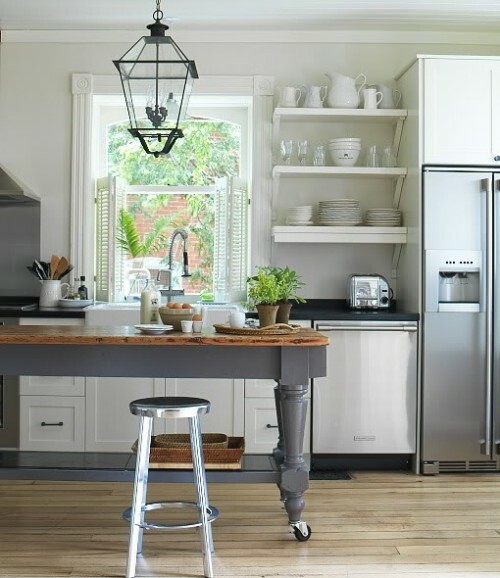 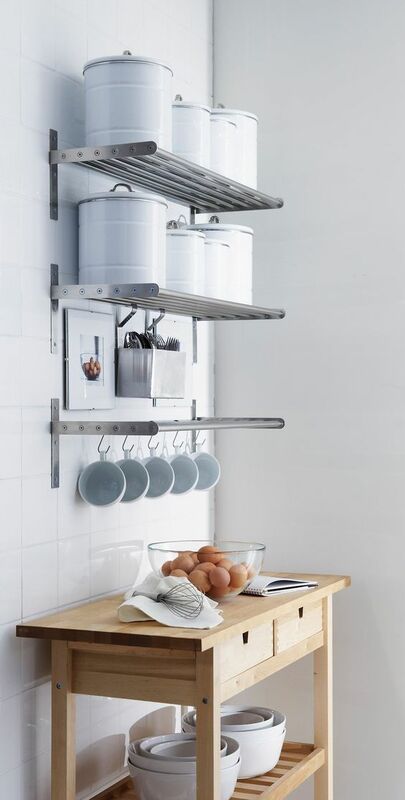 We think that open shelves aren’t only practical but also looks great in any kitchen. 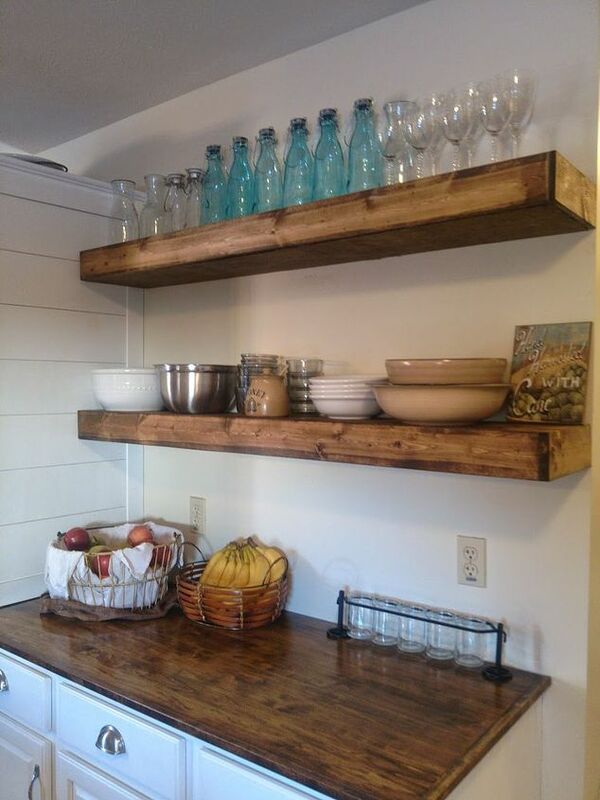 There are a lot of ways you can install them there. 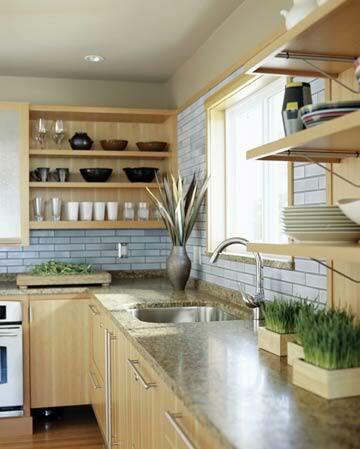 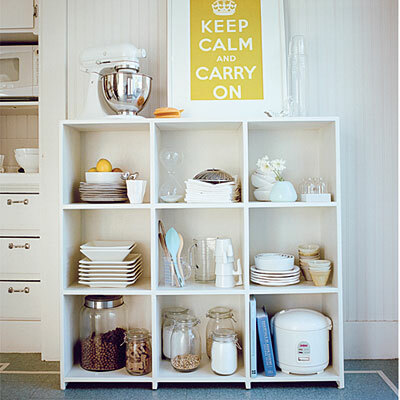 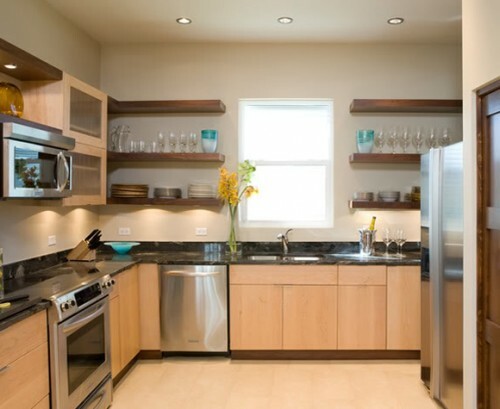 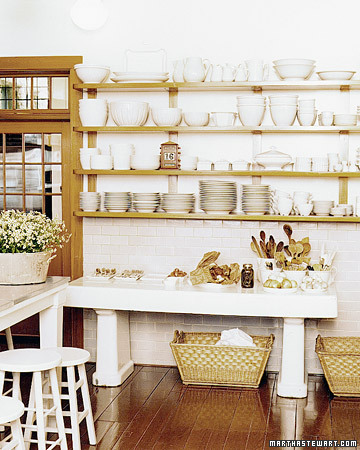 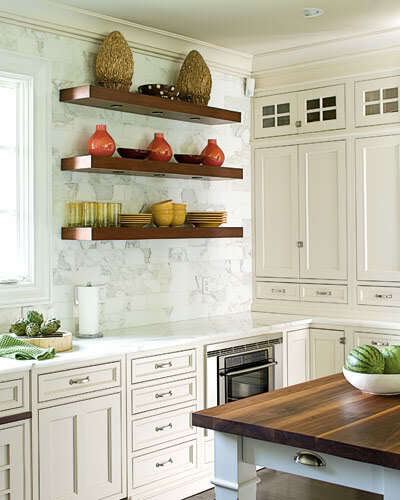 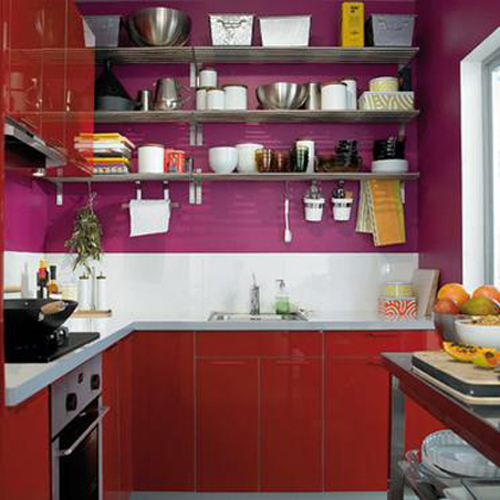 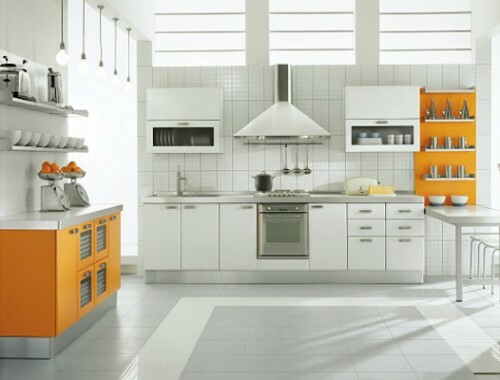 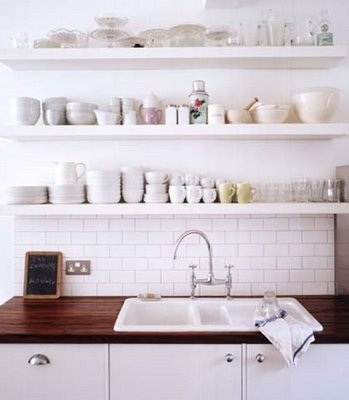 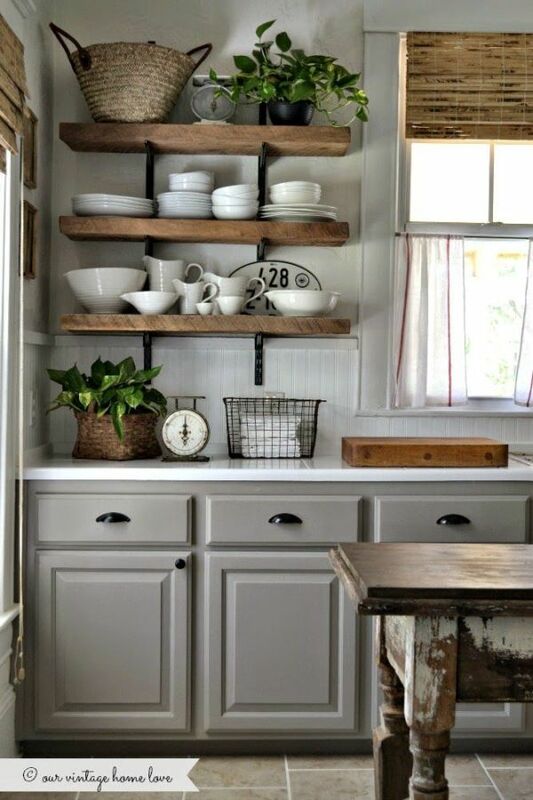 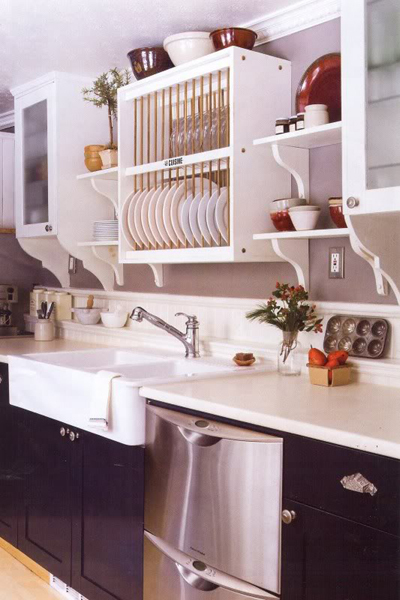 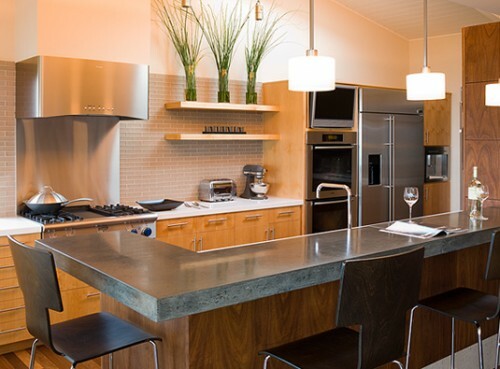 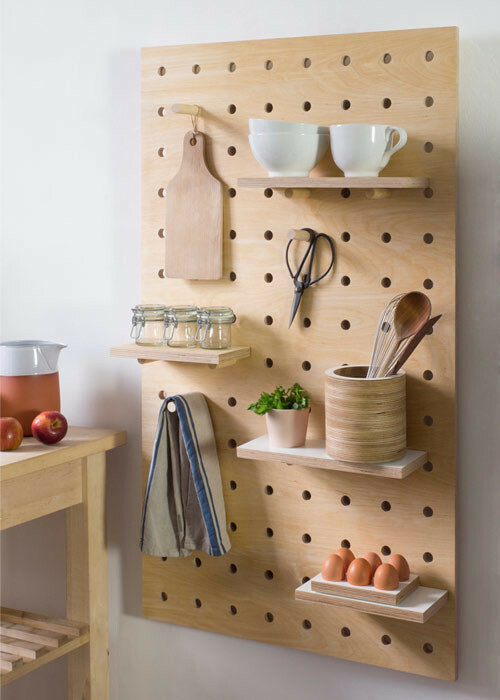 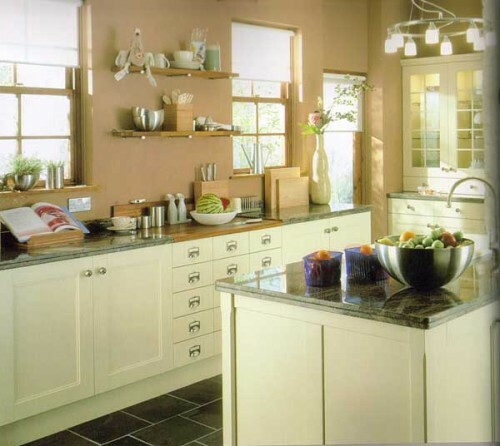 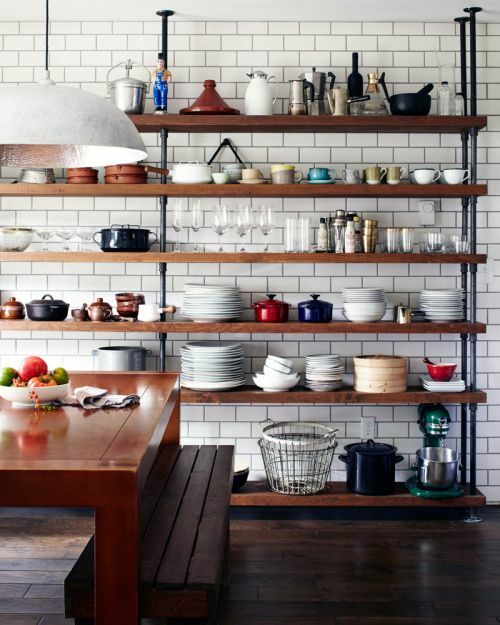 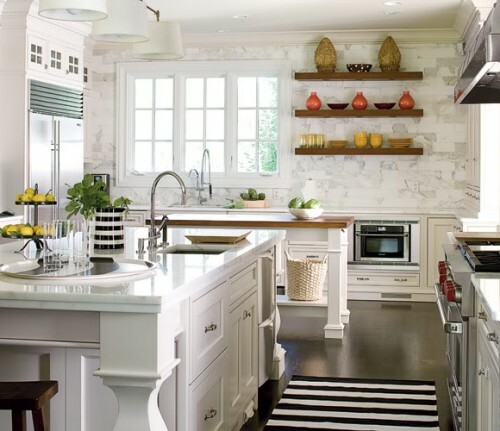 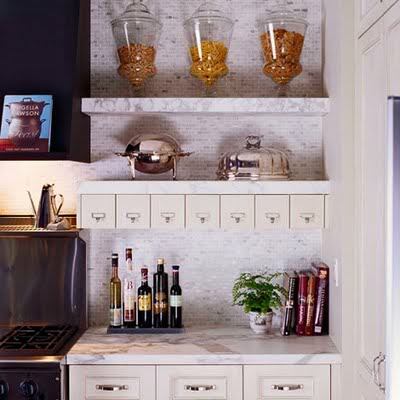 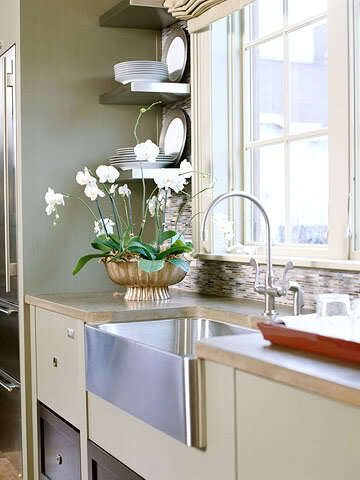 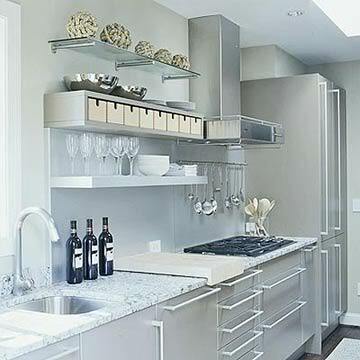 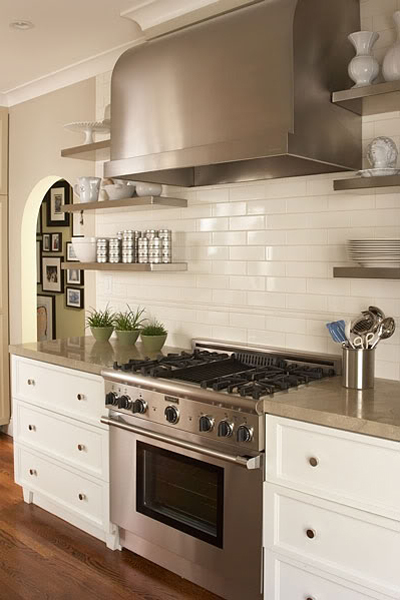 With some creative thinking, you definitely can make open shelves the most spectacular element of your kitchen. 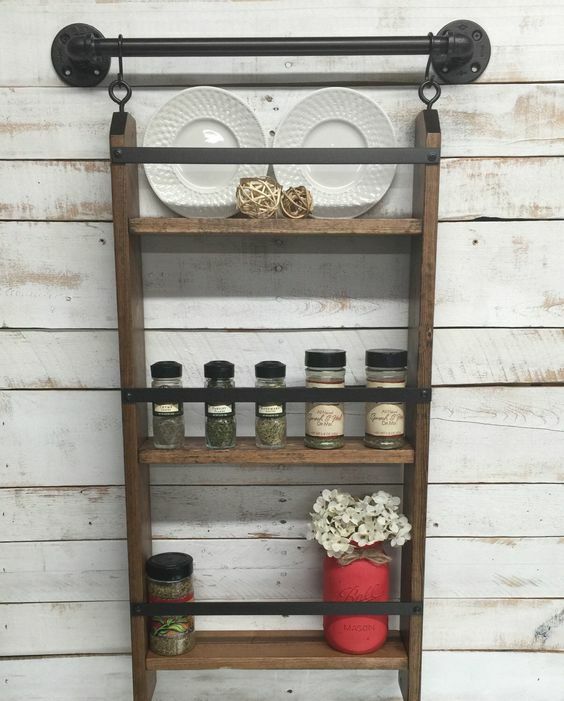 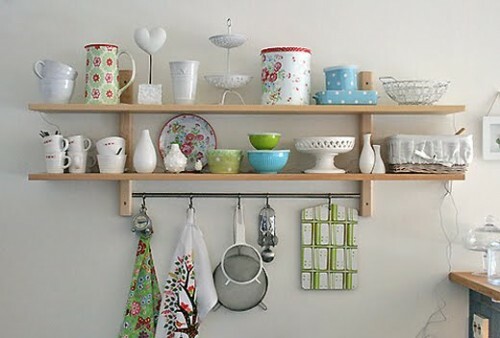 We’d like to separate implementing of kitchen wall shelves into three categories according to their amount. 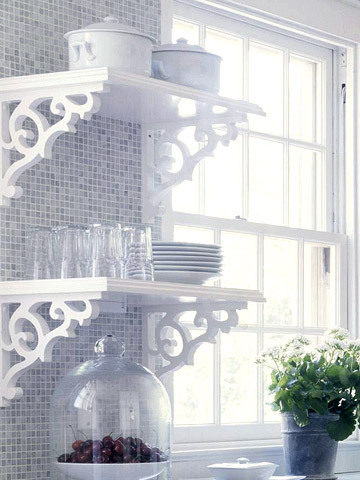 This solution is perfect to show some of your fancy tableware or vases. 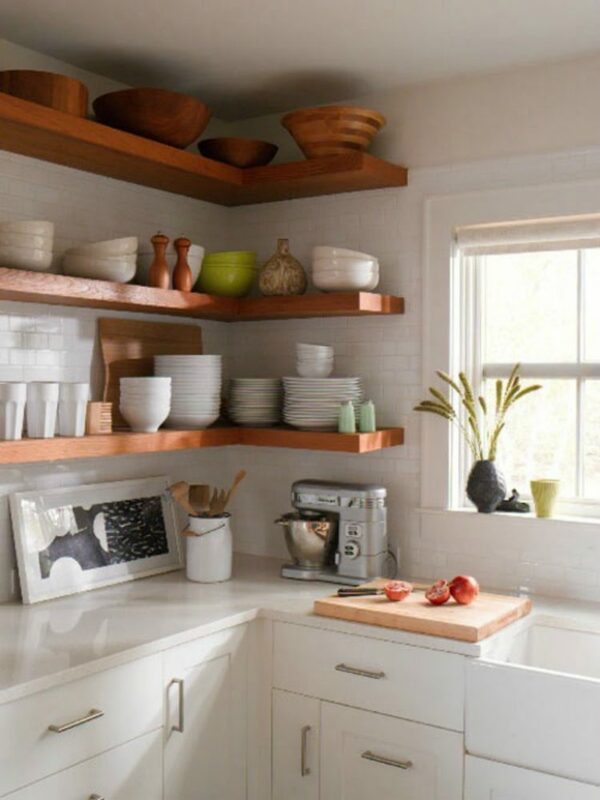 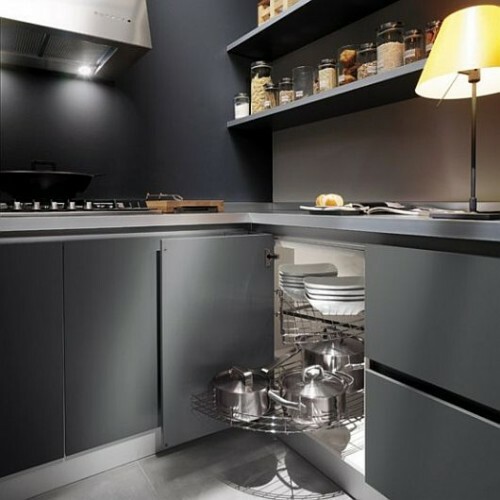 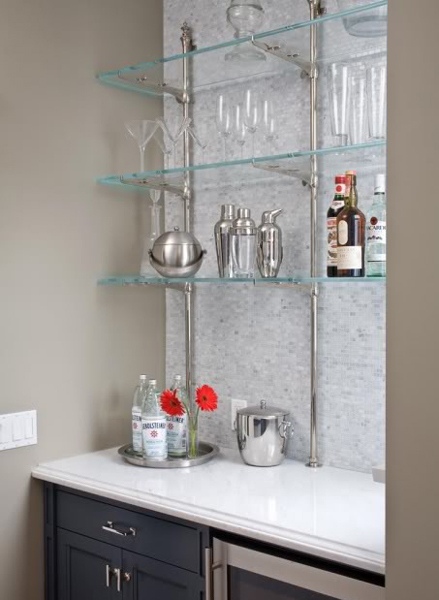 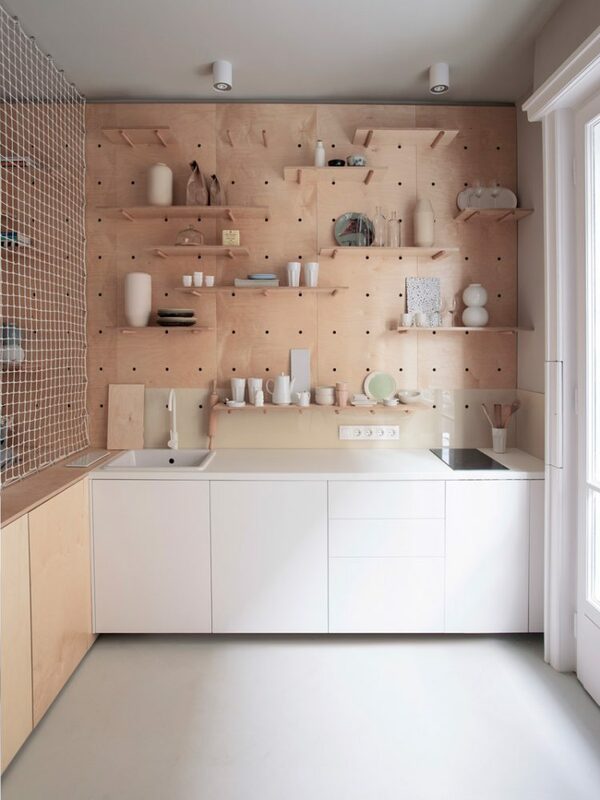 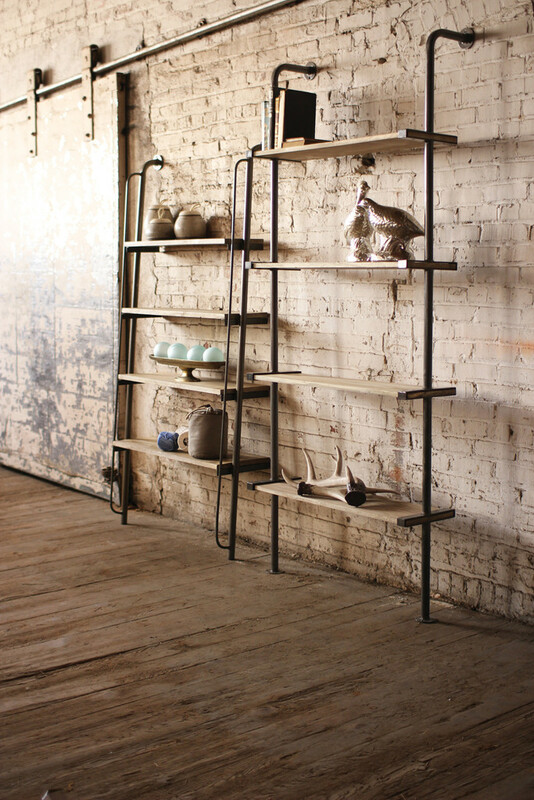 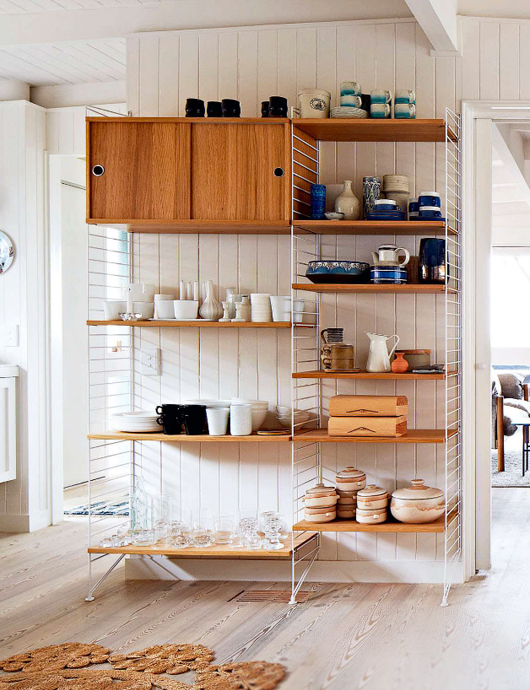 These open shelves could look like cabinets or made to look in contrast with them. 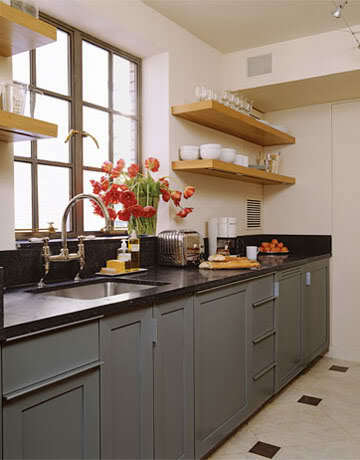 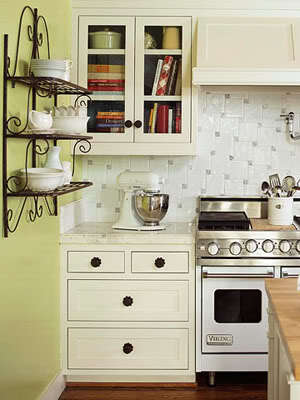 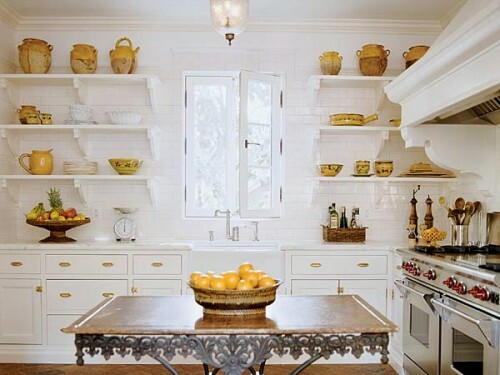 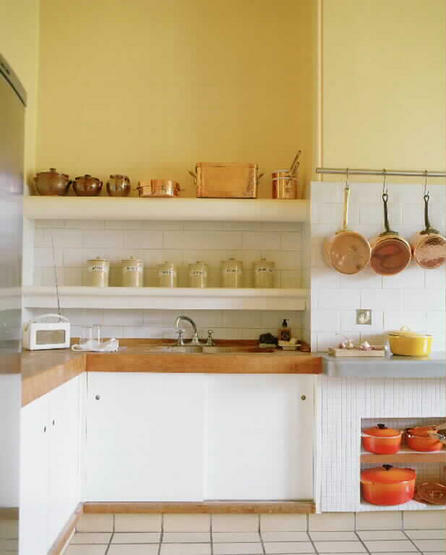 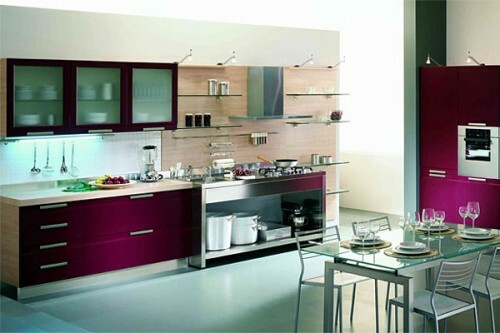 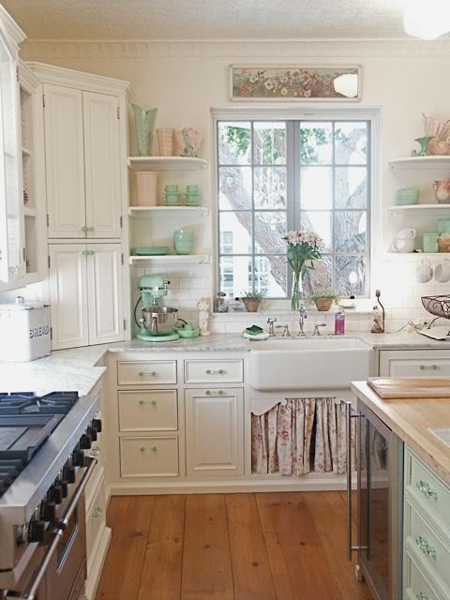 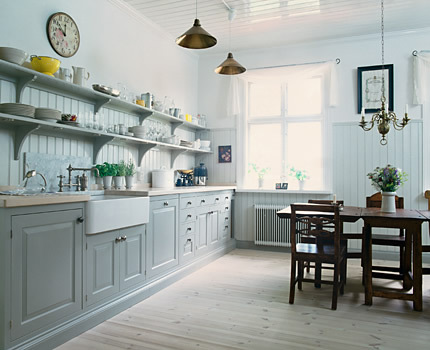 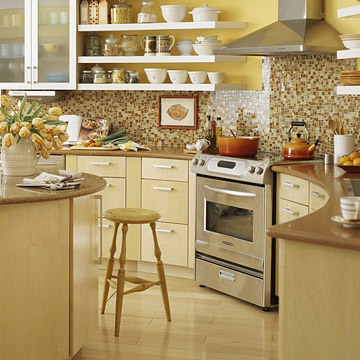 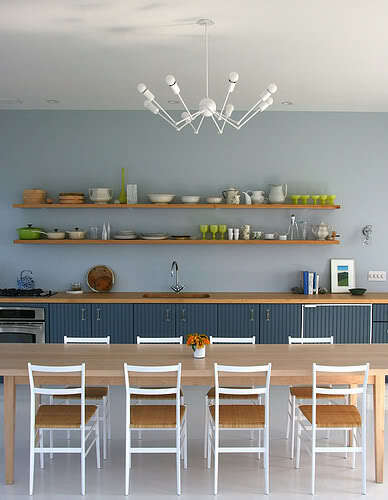 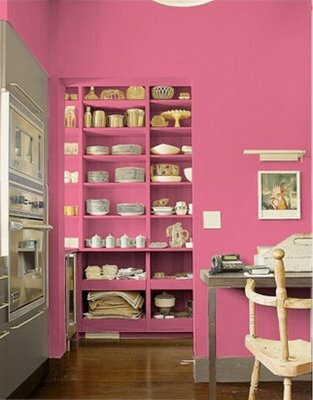 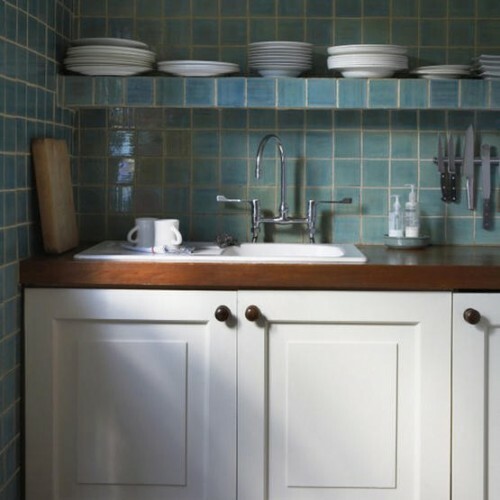 For example, if you have cabinets made of wood you can use shelves painted in some bright color. 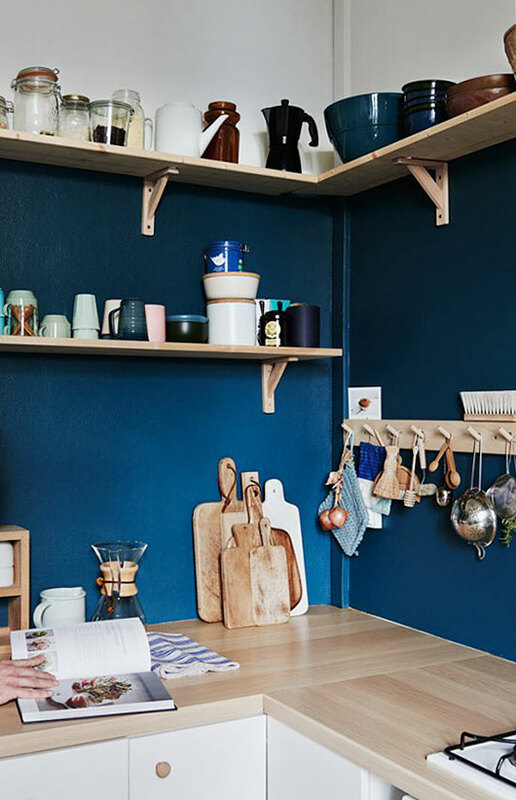 Although if your cabinets have glossy bright finish, wall shelves made of natural wood or covered with copper might become a great addition to them. 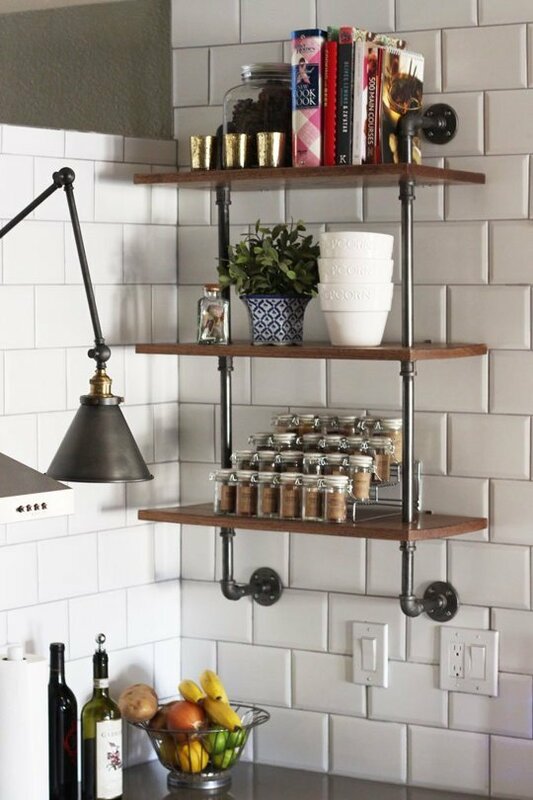 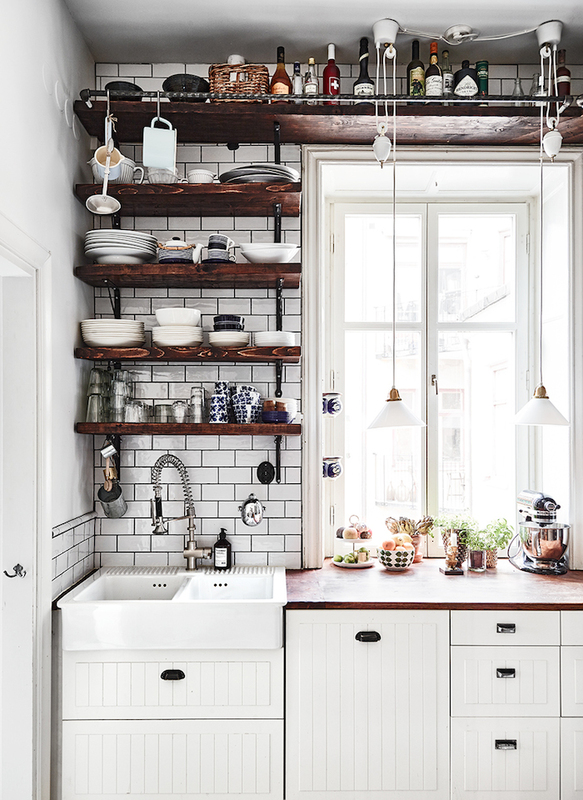 This solution makes the top of the kitchen wall looks more minimalist and of course show all those beautiful things you have. 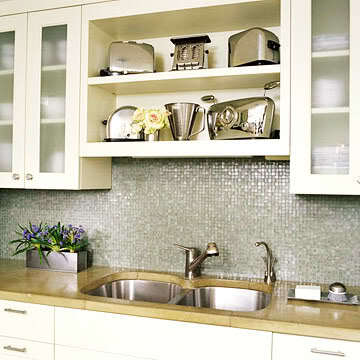 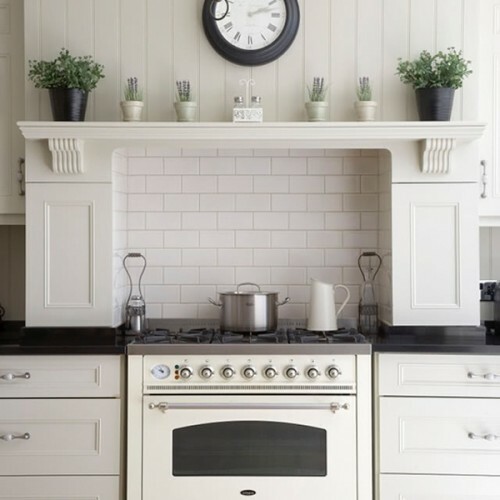 It’s perfect to show a cool backplash your kitchen have.